Why go bar hopping... when you can hop on a bar! Whether you'd like a private tour or you are with a small group we have something for everyone! Give the gift of a Cruisin' Tikis Key West cruise! The perfect gift for family or friends visiting Key West. Free street parking is available along Truman Ave. (at Bayview Park) or Eisenhower Dr.
Cruises are aboard the Freaky, Leaky, or Squeaky Tikis… The tikis boats are exactly the same! Each cruisin' tiki can accommodate up to 6 guests each... including children... this is USCG rules... NO EXCEPTIONS! Our daily 90 minute Garrison Bight Cruise fit perfectly into your Key West sightseeing trip. Enjoy your tiki adventure on the glistening crystal blue waters, and look for the abundant Florida Keys wildlife both in the air and sea. Our Garrison Bight Cruises are a slower paced relaxing trip to soak up the beauty of the Florida Keys mangrove islands. ​Our daily 120 minute Seaport Cruise fit perfectly into your Key West sightseeing trip. Enjoy your tiki adventure on the glistening crystal blue waters, and look for the abundant Florida Keys wildlife both in the air and sea. Your captain will tell you interesting Key West fun facts and history while cruisin'. Enjoy a 150 minute bar hop tour...Tiki Style! We depart from the Mellow Cafe where you may want to purchase specialty beer or a bottle of wine (Please call in advance if you plan to purchase from the Café, they are occasionally closed, specially on Sundays). One bar stop will also be part of the tour, typicall the stop will be Lagerheads Beach Bar... Stops are subject to change due to docking at these locations or weather and current conditions. This stop is approximately 30 minutes, longer stop will reduce your "cruisin' time! Our daily 120 minute Swim Stop Cruises are the perfect way to relax and swim without the crowds. 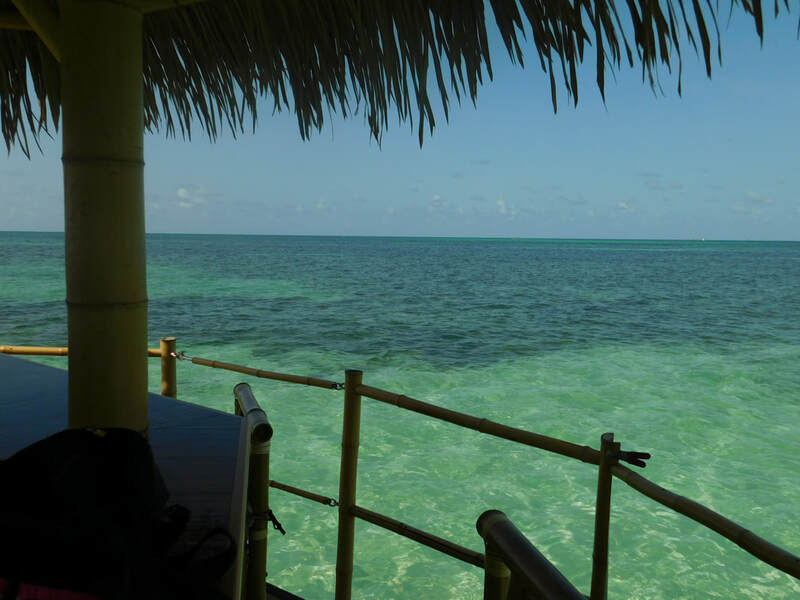 Enjoy your tiki adventure on the glistening crystal blue waters in the Gulf of Mexico, and look for the abundant Florida Keys wildlife both in the air and sea on your cruise out to the airplane basin to take a dip and cool off. Your captain will tell you interesting Key West fun facts and history while cruisin'. Don't forget your swimsuits, snorkeling gear, floatation device, and towels. Water depths can range from 4-10 feet, depending on the tide and location. The ability to swim is required! Our daily 90 minute Eco Cruises fit perfectly into your Key West sightseeing trip. Enjoy your tiki adventure on the glistening crystal blue waters, and look for the abundant Florida Keys wildlife both in the air and sea. Our Eco Cruises are a slower paced relaxing trip to soak up the beauty of the Florida Keys mangrove islands and look for the abundant wildlife calling these islands their home. Our daily 180 minute Sandbar Cruise are the perfect way to relax and swim without the crowds. Enjoy your tiki adventure on the glistening crystal blue waters, and look for the abundant Florida Keys wildlife both in the air and sea on your cruise out to the sandbar. Your captain will tell you interesting Key West fun facts and history while cruisin'. Don't forget your swimsuits, snorkeling gear, and towels. Come cruise with us under the full moon! WE want to take YOU with us as we cruise under the gorgeous and bright full moon. Cruises are 90 minutes long and are $64.95 per person or $350 for a private charter. Come as a couple or a group of up to 6 for this unique experience. BYOB your favorite beverages and snacks. We provide coolers with ice, bottled water and sodas. Cruise around on a floating tiki boat while the BLUE ANGELS soar overhead! Join Cruisin’ Tikis Key West as we cruise out to the ideal location to watch the Blue Angels... on the water! The United States Navy Flight Demonstration Squadron will be putting on an air show at speeds around 700 MPH! All of our trips are BYOB, but for this special event we will be providing snacks to munch on as you sit back, relax, cruise, and watch the show! We also provide USCG certified captains, coolers with ice, bottled water, sodas, and Bluetooth radio. Let us take you back in time with the Bloody Sea Battle for the 2019 Conch Republic Independence Celebration. The First Sea Lord Admiral Finbar and his High Command will sail on the Conch Republic’s Navy Flagship Schooner WOLF, the CR Air Force and civilians will battle the “evil border patrol” (U.S. Coast Guard plays the patrol) all in fun. This reenactment is a hilarious Key West tradition. Come prepared with your game face ready to get soaked in sea water and bring your own food and beverages. In March 1982, the U.S. Federal Government placed a Border Patrol Roadblock at the Last Chance Saloon in Florida City. This created a traffic jam since the patrol had to search each car for drugs or aliens. Mayor Wardlow made the decision to secede, creating the Conch Republic. On April 23rd, the new Conch Republic flag was raised over the city hall and the Schooner Western Union. An attack occurred on the Coast Guard with stale Cuban Bread. This is how we became the Conch Republic! Why watch the fireworks from a crowded boat or sidewalk? 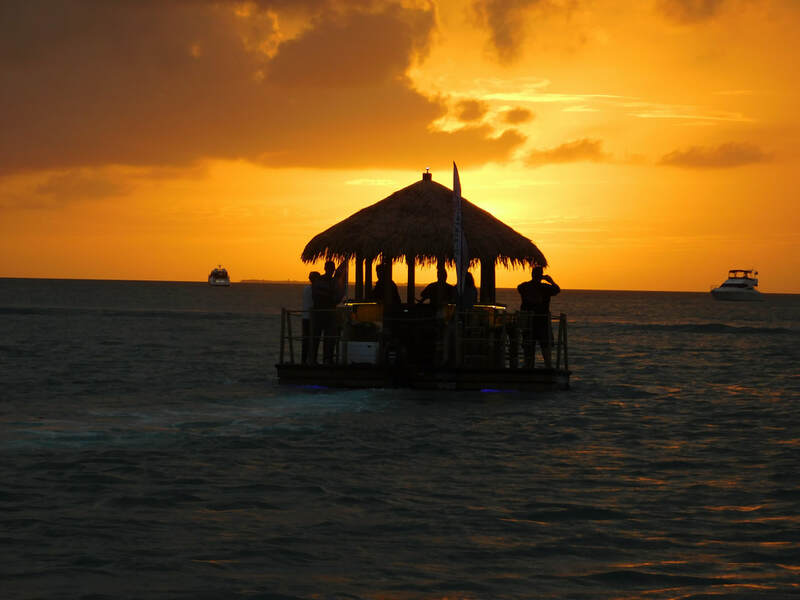 Join us for our Sunset/Fireworks cruise aboard a Cruisin Tiki with 5 of your friends or meet a few new friends on the 4th of July! From the tiki, you will be able to catch the sunset before the fireworks! After the sunset, the show starts where you and your guests can watch the bright fireworks shoot across the sky and reflect on Key West's beautiful waters. Cruises are BYOB for alcoholic beverages. We will provide snacks, bottled water, sodas, and coolers with ice. 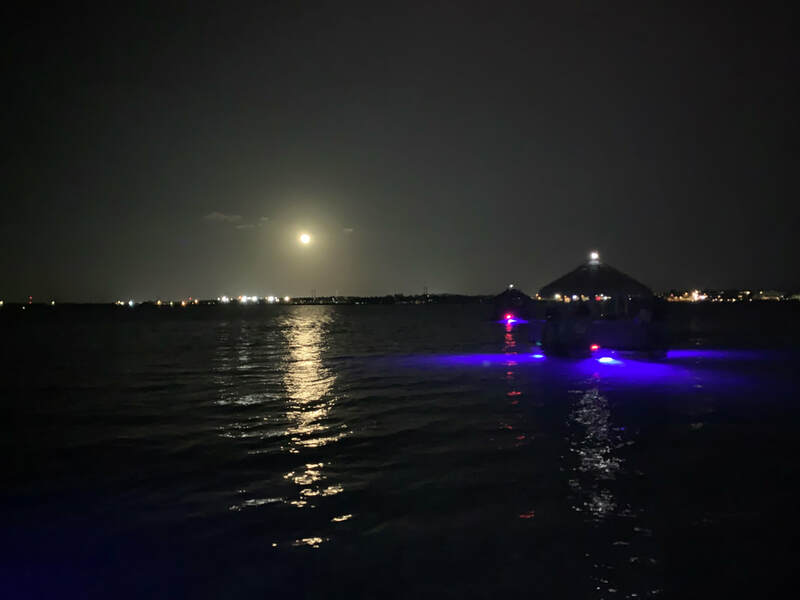 The best way to view the Key West annual fireworks show is from the water... avoid the crowded party boats and rent your own a private tiki boat for your own private tiki party! Thursday, July 4th 8:00 PM - ? Why watch the 2019 Power Boat Races from shore when you can be aboard one of our Cruisin Tikis in the Harbor? There is no better place to watch the Annual Key West World Championship Power Boat Races than from the water. You will be close to the action and feel the thunder as these high powered boats race by at speeds of over 100 MPH. We will provide a light breakfast, lunch, snacks, bottled water, sodas, coolers , and ice… you bring your favorite beverages along with you. We will have a boat with a restroom positioned for food and restroom breaks during the day since it will be a long day. ​Race days: November 6th, 8th, and 10th. ​Through this experience, not only will you get to see the beautifully decorated boats up close, but you will also enjoy a private party on the water with 5 of your friends or meet a few new friends. Bring your own beverages aboard and come with us to enjoy this unique experience in December. We will provide bottled water, sodas, and a cooler with ice. You can dress up in your favorite Christmas attire or go with a theme as a group. It can get a little chilly on the water at night so don’t forget a sweater, jacket, or blanket. There is an official judges’ stand at Schooner’s Wharf Bar so come ready to be a part of the competition!